Mismo Anti Wrinkle Cream Review: Is it Suitable For Your Skin? This formulation is claimed to leave a smooth, velvety feel and it can be used on the face, neck and décolleté. It is a rich cream that can reach the deep layers of skin for a soft and hydrated finish. 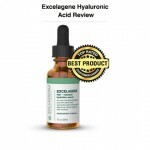 This product is made to fight skin aging signs, offering preventive and corrective effects, while at the same time delivering other benefits like promoting optimal skin moisture. To learn if it is a good fit for your regimen, read this in-depth Mismo Anti Wrinkle Cream review. Mismo Body Care is still a small skin care company based in Australia. According to its website, it is dedicated to offering a range of skin care and pain management formulations that are made with natural ingredients. This company’s signature ingredient is methyl sulfonyl methane (MSM), which is known to be a good source of organic sulphur. It is not a known brand but there’s a 30 day money back guarantee that covers all of its products. For best results, use Mismo Anti-Wrinkle Cream in the morning and evening by applying a thin layer all over your face, neck and décolleté. Massage gently onto skin to enhance absorption. 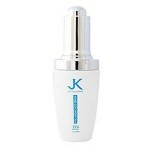 A 50 ml container of this anti-aging formula is priced $69.95 on the brand’s website. VCIP: This is a special kind of vitamin C that was developed in Japan and it is made specifically to avoid negative skin reactions. It is an antioxidant that helps protect skin from free radical damage and it offers skin lightening and collagen-boosting ingredients as well. 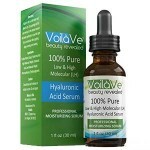 Hyaluronic Acid: Ultra high concentration is for incomparable moisture-boosting effects that makes skin plump and soft. Olive Squalane: High-end oil that’s very similar to human sebum, it offers extreme nourishing effects that feel light on skin. This is currently one of the most popular ingredients in skin care because of its amazing moisturizing effect. Coco Caprylate: Extracted from coconut, it delivers a velvety feel that makes skin soft and smooth. 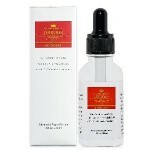 Boosts lipid levels in the skin for softening and moisturizing effects. Helps re-texturize the user’s complexion. Can be used for a gorgeous makeup base. 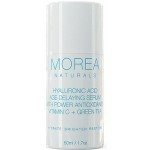 Helps protect against premature skin aging. This is not from an established skin care brand. It can cause irritation or breakouts on some skin types. There are very few customer reviews so buying it comes with some risk. The reviews on the Mismo website don’t appear to be genuine. 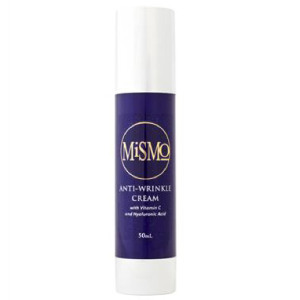 Mismo Anti-Wrinkle Cream is just an ordinary skin care formulation from a relatively unknown brand. It uses active ingredients that are backed by science but there’s no clinical evidence that this formula works. This is not a popular product and there’s very limited feedback from people who have tried it so there’s some risk involved if you decide to buy it. Due to the money back guarantee, it’s still worth a try although there are many better anti-wrinkle formulations at this price range. Unsatisfied customers can return Mismo products within 30 days from date of purchase.